Wilmax is a rapidly developing manufacturing company that specializes in producing fine porcelain, founded in 2010. The company is based in London, United Kingdom, with Sales & Logistics office located in Hong Kong, one of the world's leading commercial centers and largest container ports, which enables Wilmax to make prompt and timely delivery of orders to customers in all continents. The history of porcelain dates back centuries. Many times in the past years, style and taste have changed, but porcelain never goes out of fashion. Despite its seeming fragility, porcelain can be called one of the timeless values, which bring beauty and elegance into our life. Thin, delicate porcelain is a precious decoration for any table, a special highlight of any interior design. 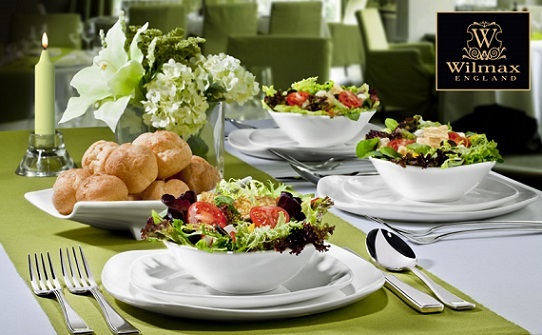 Wilmax Company offers a wide range of high quality white porcelain tableware at an absolutely reasonable price. 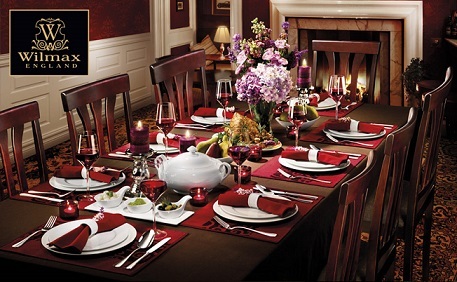 Numerous Wilmax range includes all the items necessary for a table setting with variety of shapes and styles will fit any taste and any interior. 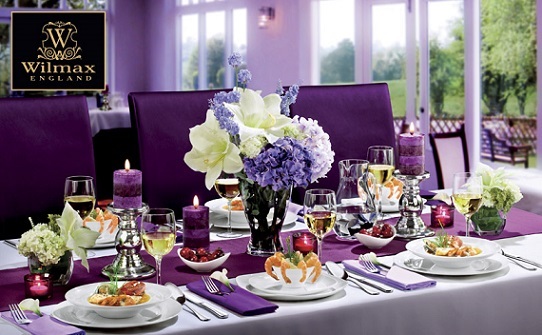 Wilmax porcelain is translucent, which means thin and delicate, light easily passes through it. It is also resonant, items produce a high pure sound when lightly tapped or struck, a characteristic feature of high-quality porcelain. Unique formula including magnesium and aluminium compounds makes the items exceptionally white (both outer and inner surface), solid and chip-resistant. The products have a specific glaze composition, which ensures the smoothness and gloss of the surface. In addition, all items undergo mandatory quality check at every stage of production. As a result, stable quality is guaranteed, items are produced under strict control using unique original technology. All Wilmax items are made from ecologically pure raw materials in compliance with sanitary and epidemiological requirements. They are also stackable and safe to use with ovens, microwave ovens, dishwashers. In Vietnam, Qhome is proud to be the exclusive distributor of Wilmax products. Please contact us for great service and affordable prices on Wilmax products.